OMG. School is back on after a really lovely holiday break and NONE OF US ARE READY FOR IT. We're back to getting up every morning at six in the morning and a strict bedtime of nine at night. My kids are night owls like me so this return to routine has not been going well. Lots of fighting, screaming, and tears. One night, I was just OVER IT. I was tired of nagging, yelling, and threatening my kids. So, I asked Melanie's Echo Dot Kids Edition to play some music. I just needed something to distract myself. And you know what? It ended up distracting the kids, too. The tears dried up, they smiled, and started dancing. Dancing! At bedtime! I was really happy to see a positive change turning one of our traditionally difficult transition times. 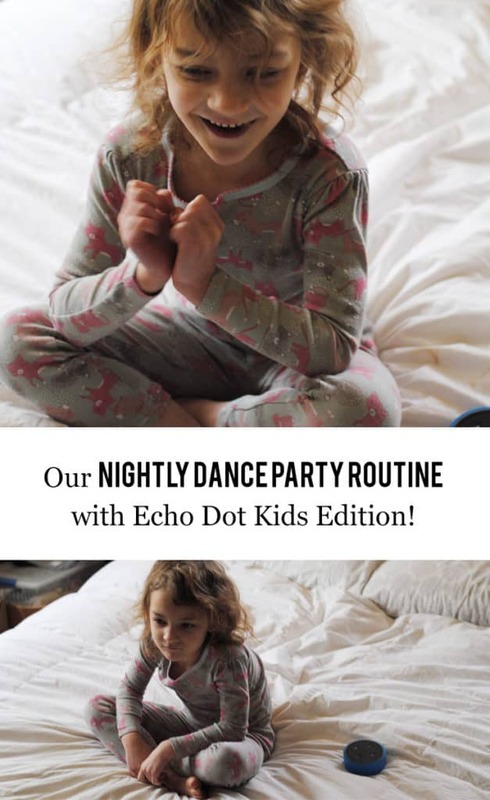 And that got me to thinking… could the magic of Amazon and the Echo Dot Kids Edition help us make our nighttime routines easier? I resolved to try and see. Since I already love using my Amazon account and Echo Dot Kids Edition (and my Amazon Echo Plus) to make our lives easier. We have timers set up in the morning to help Melanie know when to get dressed, brush her teeth, and put on her shoes to go to the bus stop. She even has her own playlist that she can ask Alexa to play when she's getting ready (lots of fun pop songs mixed with boppy version of her favorite kid's tunes). 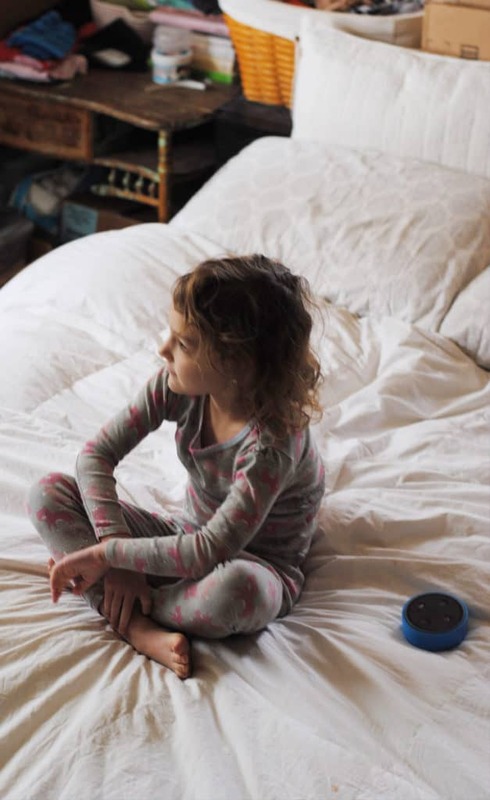 Melanie loves when she uses her Echo Dot Kids Edition and Alexa says her name. Since our morning routine had been improved by Melanie's Echo Dot Kids Edition, I sat right down and created an evening playlist with songs that both Melanie and Finn love. I also taught Melanie how to ask Alexa to tell her a joke! Now, our evening routine consists of bathtime then putting on jammies and having a fun two to three song dance party! After that, Melanie gets to ask Alexa for two jokes then we brush our teeth and read books. Sometimes, Daddy reads books and others, Melanie has Alexa tell her a story via her Echo Dot Kids Edition. Then, either I sing Melanie and Finn songs or Alexa plays something Melanie requests and we sing along. Y'all. Bedtimes are SO MUCH EASIER now.